We accept PPO Insurance and Dentical for your convenience. Welcome to Balboa Victory Dental Office, our dentist's goal is to get your teeth and gums to their healthiest state as quickly and gently as possible. Here, you will enjoy a friendly and professional dental team who listens to your dreams and goals for your smile and provide a personalized treatment plan for your oral health. Whether you're looking to maintain your smile with professional cleanings and preventive care, rejuvenate your smile with restorative dentistry or enhance your smile with cosmetic dentistry, our dentists will help you accomplish the perfect smile. At Balboa Victory Dental Office, we are committed to providing quality dental care for you and your family from our office in the Encino area of Los Angeles. Whether you're looking for orthodontics or general dentistry, find it here with us. New Patient? Get a Free Exam & Digital X-ray Today! Get the smile you have always dreamed about today! Your perfect smile is a simple phone call and consultation with Balboa Victory Dental Office away. Trust Balboa Victory Dental Office to provide quality dental care for you and your family. We accept most major insurances for your convenience. Contact Balboa Victory Dental Office today, to ensure that you get an appointment that not only works with your schedule, but also your needs. 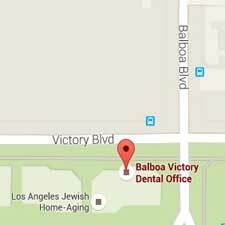 Whether you are in need of general dentistry, orthodontic care, endodontic care or cosmetic dentistry, Balboa Victory Dental Office offers the services you need. For your comfort, our dental office’s atmosphere is calm, relaxing and family-oriented. Which for you, means that whether you’re looking to simply maintain your smile, rejuvenate your smile, or enhance your smile, we have the knowledge and skills to provide you with the dental care you need. 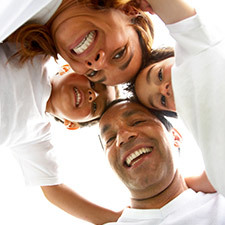 Trust Balboa Victory Dental Office for high-quality dental care for you and your family.